On the BIG SCREEN, Pierre produced, directed and starred in For Da Love of Money, played Mark in The Wash, Lt. Bradford Shitzu in 2001: A Space Travesty, David in How To Be A Player, Ali in B.A.P.S. and the pimp in The Breaks. On the SMALL SCREEN he has recently appeared on MoNique and Martin Laurence’s 1st Amendment. 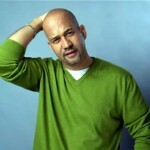 And you should remember him on Comic View and Def Jam! 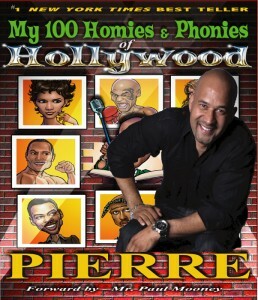 He wrote the NY Times best seller, My 100 Homies and Phonies of Hollywood and movies Slice 1 & 2. Come see this across the board talented comic LIVE.